Drill Bit, Drill Bit Products, Drill Bit Manufacturers, Drill Bit Suppliers and Exporters - Dan Yang Three Win Industry Supply Co.,Ltd. 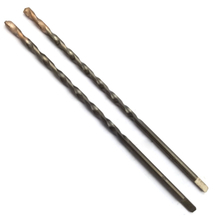 - Vacuum brazed diamond drill bits for drilling tile, ceramic, granite slab, marble slab, glass, etc. - Self-cooling funciton with wax inside tube body. 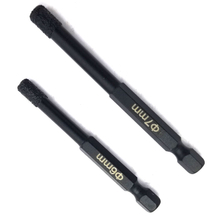 - DIN6.35E quick change hex shank to fit quick change chuck for easier and faster work. - High strength and levels of diamond grits to form the special formulation to meet different drilling purposes. 1, Vacuum brazed diamond drill bits for drilling tile, ceramic, granite slab, marble slab, glass, etc. 2, Self-cooling funciton with wax inside tube body. 3, DIN6.35E quick change hex shank to fit quick change chuck for easier and faster work. 4, High strength and levels of diamond grits to form the special formulation to meet different drilling purposes. - For all concrete, brick and stone applications. - Effective removal of dust thanks to aggressive tip and spiral design. - Certified by the Prufgemeinschaft Mauerbohrer(PGM) in accordance with the requirements of the Deutsches Institute fur Bautechnik(DIBt). - German technology on automatic-copper soldering guarantees the best durability of carbide in drilling work. - Long service life and low probability of breakage thanks to the highly effective technique of hardening by blasting. 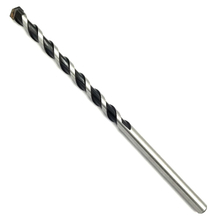 - DD Series carbide tipped for professionals and industrial applications. 1, For all concrete, brick and stone applications. 2, Effective removal of dust thanks to aggressive tip and spiral design. 3, Certified by the Prufgemeinschaft Mauerbohrer(PGM) in accordance with the requirements of the Deutsches Institute fur Bautechnik(DIBt). 4, German technology on automatic-copper soldering guarantees the best durability of carbide in drilling work. 5, Long service life and low probability of breakage thanks to the highly effective technique of hardening by blasting. 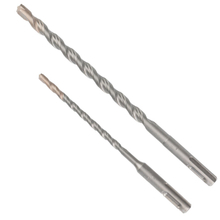 - Ceratizit 46000 Series carbide tipped for professionals and industrial applications. - Hardened Cr40 steel with virgin YG8 Carbide for concrete, brick, masonry materials drilling in economic costs. 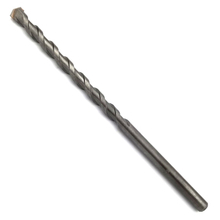 - Strict straightness guarantee the stable drilling performance. 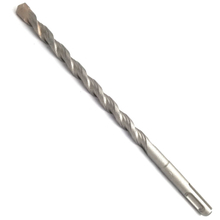 1, Hardened Cr40 steel with virgin YG8 Carbide for concrete, brick, masonry materials drilling in economic costs. 2,Strict straightness guarantee the stable drilling performance. 3, High frequency welding on my company OPP range. - Hardened C45 steel with YG8 Carbide for concrete, brick, masonry materials drilling in economic costs. 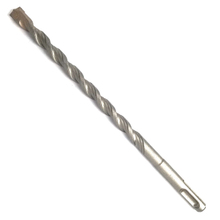 1, Hardened C45 steel with YG8 Carbide for concrete, brick, masonry materials drilling in economic costs. 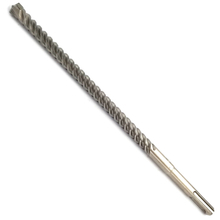 - Effective removal of dust thanks to aggressive tip and 4H doublex2 flutes spiral design. - 4H flute design with double dust rejection compared with normal two flute design to do faster dust rejection. 3, German technology on automatic-copper soldering guarantees the best durability of carbide in drilling work. 4, Long service life and low probability of breakage thanks to the highly effective technique of hardening by blasting. 5, CT-4 Ceratizit carbide of special 4Cutter design to make faster and lower vibration drilling performance. 6, 4H flute design to do faster and rapid dust rejection on higher efficiency. - Auto-copper vacuum soldering guarantee the better durablity and long life performance of the drill bit. - Strick rotary concentricity control and straightness to support professional drilling work. 2, Auto-copper vacuum soldering guarantee the better durablity and long life performance of the drill bit. 3, Strick rotary concentricity control and straightness to support professional drilling work. 4, Ceratizit carbide is available for professionals and experts of concrete drilling.